A large cooler bag for that perfect holiday at the beach or picnic at the park. 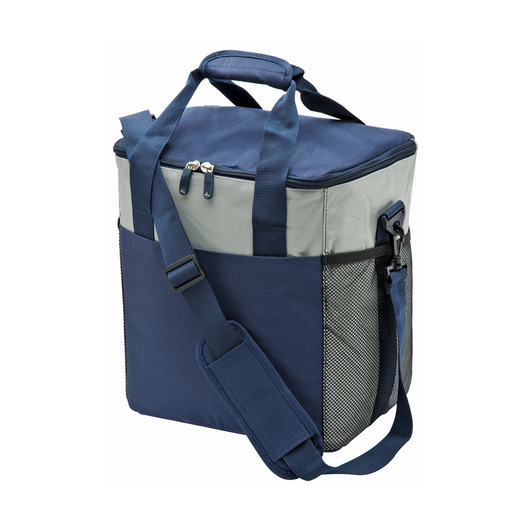 Make packing lunch for the beach fun with this premium large cooler bag. 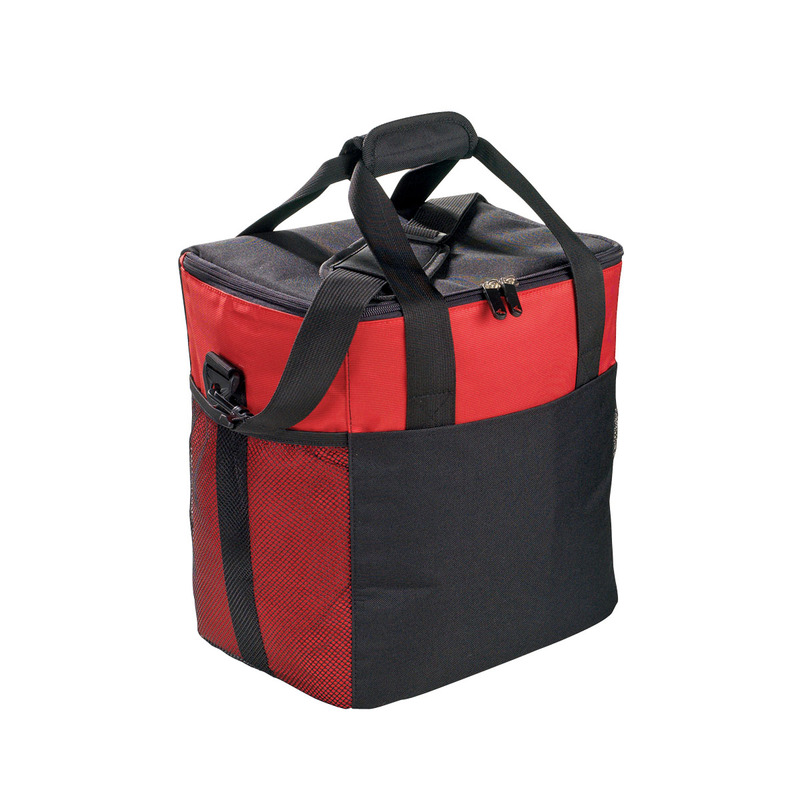 Made from high quality 600D polyester with PVC backing, giving it a 20-litre capacity. 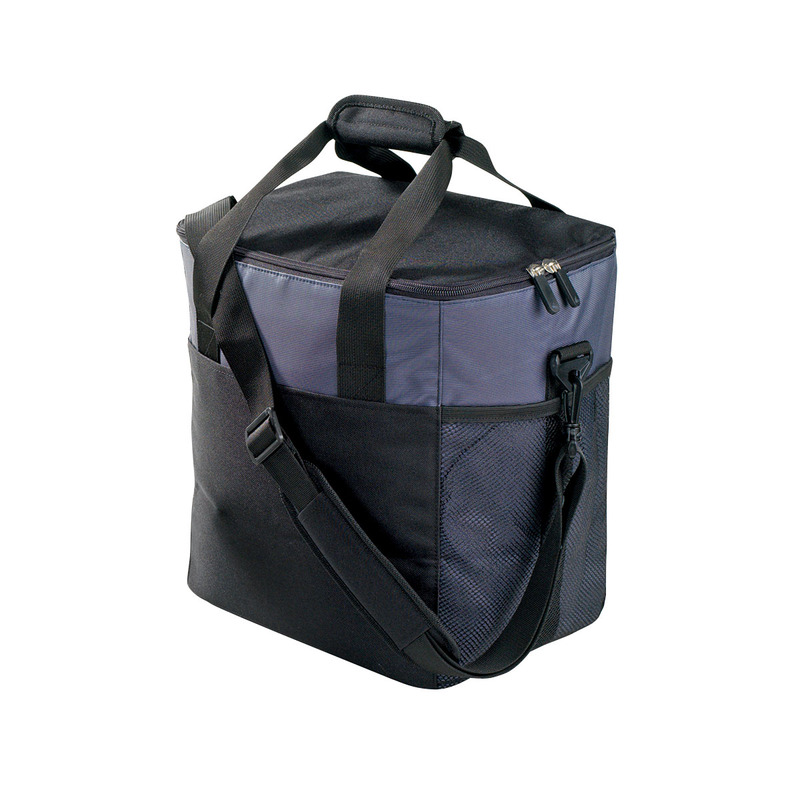 It features a webbing carry handles with Velcro cuff, double zippered main compartment, elasticised top mesh side pockets, removable adjustable webbing shoulder strap, contrast panels with "dot" feature, silver foil / clear PVC lining, and a front slip pocket.